Car Donation San Jose : Reasons to Donate Your Car This Summer! Catholic Charities of Santa Clara County is proud to serve the greater San Jose area with car donation services. Your generous donation helps us provide families with food, assist individuals in finding work, aid displaced refugees and more. To learn more about how we can assist you with donating your car in San Jose, contact us today! 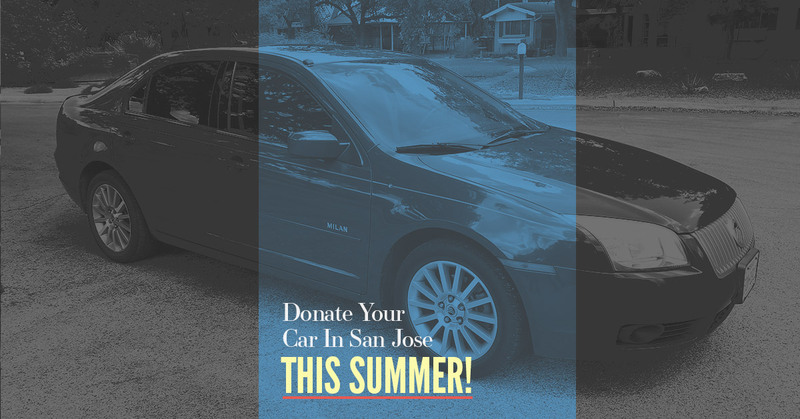 With summer upon us, there are plenty of reasons why you should consider donating your car in San Jose. In this blog post, we’ll highlight a few of those reasons, helping you see the benefits of donating your car this summer. If you’ve got a family at home, then for you, summer means having the kids home from school! This is fantastic, and with summer comes all the activities that kids usually don’t have time to do while focusing on schoolwork during the rest of the year. Kids have a tendency to love the outdoors, whether if its on bikes, spending time in the pool or otherwise. Of course, items like these aren’t always the easiest to store, and freeing up any space in the garage can be incredibly accommodating. By donating your car, you can free yourself a considerable amount of storage space in your garage, ensuring that you’ll have plenty of room for all of those summer-centric items, be them bicycles, kiddie pools or otherwise. While it can sometimes be convenient in relation to providing us with valuable transportation, having a car certainly costs money. From regular refueling to maintenance, car insurance and parking, the amount of money that we spend on owning a car every month is considerable. Summer comes with a variety of activities, and whether you’re taking a vacation with the family, going out to various social functions or hosting guests over for a barbecue, all of these things cost money. By donating your car this summer, you’ll be able to not only save money, but the money saved can be put to all the fun that you’ll undoubtedly have this summer. Whether you’re taking a bike ride with your family, carpooling with friends and/or coworkers, or simply walking to your destination, donating your car will allow you to not only enjoy the outdoors more, it will enable you to spend more time with your family during the summer. Additionally, by donating your car and embracing public transportation, you’ll be able to effectively reduce your family’s carbon footprint. Whether you’re looking to gain more storage for all of your summer belongings, save money to do more over the summer or reduce your family’s carbon footprint, donating your car this summer can provide you with a variety of benefits. If you’re looking to donate your car in San Jose, Catholic Charities of Santa Clara County would love to accept your donation. Not only will you be freeing yourself of all the obligations that come with car ownership, you’ll be supporting a worthy cause. To learn more about our San Jose car donation services, get in touch with us today!